The Kelowna Art Gallery is located in the heart of Kelowna’s Cultural District in downtown Kelowna, BC. We offer visitors the opportunity to explore changing exhibitions of both historical and contemporary Canadian art in our four gallery spaces, including an outdoor courtyard area. We offer art classes and workshops for adults and teens in the fall and winter, and art camps during spring and summer breaks for children. Our popular Family Sundays offer visitors the chance to get creative with guided hands-on art activities based on a new theme each week, after they get inspired by the current exhibitions on view. The gallery hosts a number of events throughout the year, including artist’s talks, lectures, and panel discussions, fundraisers, community projects, and other special events. We also have a permanent collection of upwards of 800 works of art and a range of publications that we produce to accompany our exhibitions. 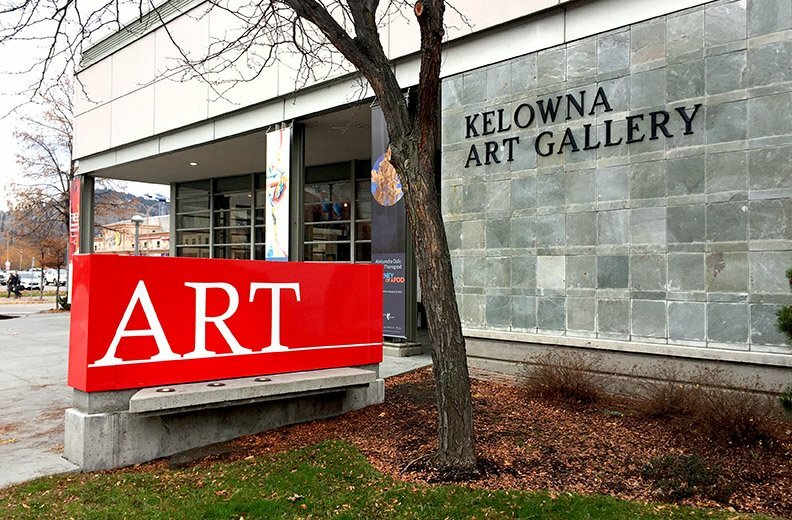 The Kelowna Art Gallery is a registered non-profit society (#S-12999).